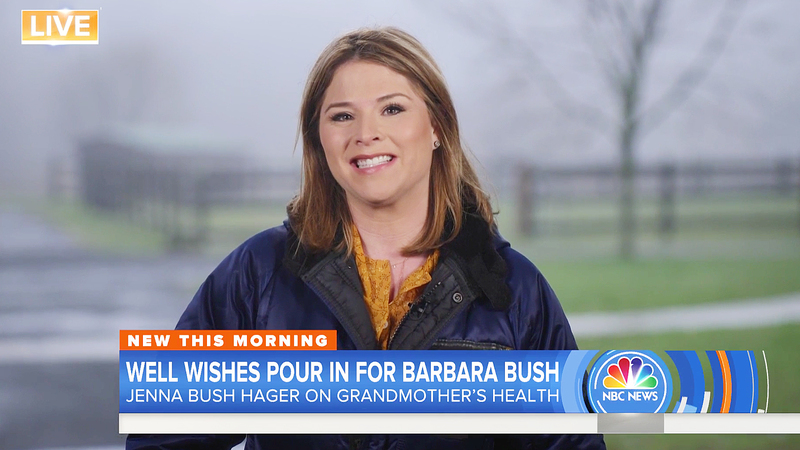 Jenna Bush Hager, who is currently in New Jersey for a Today story, took the time to speak with her colleagues Savannah Guthrie and Hoda Kotb about her grandmother Barbara Bush’s health on Monday, April 16. 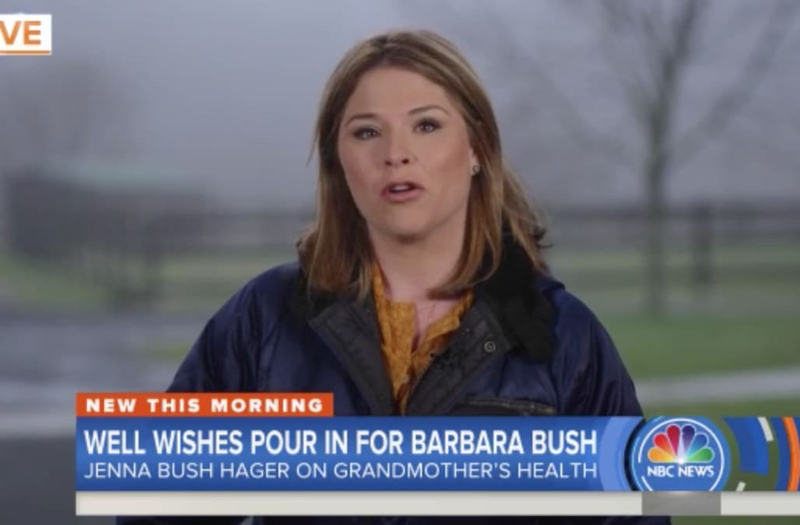 One day earlier, it was confirmed that the former first lady, 92, would no longer be seeking additional medical treatment amid her failing health. Instead, she has decided to focus on comfort care. The couple have been married since 1945. In January, they were both admitted to the hospital — George Sr., 93, for shortness of breath and pneumonia and Barbara for bronchitis.